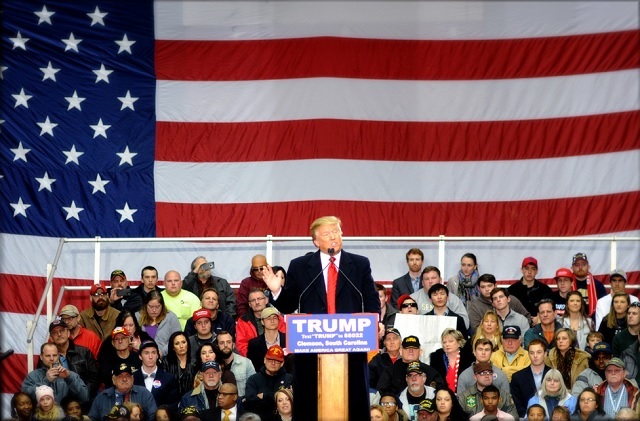 MELBOURNE, Florida - Thousands of supporters for President Donald J. Trump have convened at Orlando-Melbourne International Airport to see and show their support for the president at 5 p.m. on Saturday. A few hundred anti-Trump protesters donning pink, knitted hats with signs stating "Resist" have lined the street across from the airport hangar where President Trump will arrive. No clashes between the Trump supporters and anti-Trump demonstrators have been reported so far. Trump has stated that he will make a "Big" speech at the rally this evening.